Philip Cheeseborough is a delightful young man who works as an usher at Tallahassee AMC Theatres at the Centre of Tallahassee mall, formerly Tallahassee Mall. After being on the job for about a year, he is still thrilled with the opportunity to go to work. “I like tearing tickets. It is fun. It’s really exciting working there," Cheeseborough said. "I love movies. I get to see free movies." AMC Tallahassee Mall Senior Manager Chelsea Guinee, said the staff enjoys working with enthusiastic employee. Cheeseborough receives services from the Agency for Persons with Disabilities. October is National Disability Employment Awareness Month, and APD is highlighting the workplace achievements of people with developmental disabilities. Cheeseborough graduated from Lawton Chiles High School in 2012. He attended a two-year program at Tallahassee Community College called "Eagle Connection," which helps individuals with disabilities learn social and job skills to help them be successful in landing a permanent position in the workforce. As part of the program, Cheeseborough participated in several internships, and he received his completion certificate in April 2014. 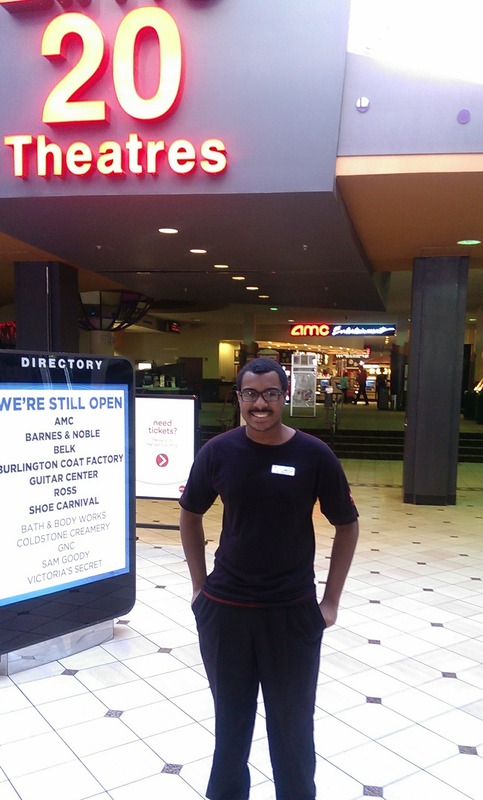 In the fall of 2014, his job coach, Willie Miller, took him to conduct a job shadowing experience at AMC Theatres. Afterward, he completed an online application, and was called in for an interview. They offered him a job soon after. “Philip brings many qualities to the job. Two of the things we love most about Philip are his work ethic and attention to detail. Philip is a very hard worker, and almost never has to be asked to do anything because he is already on top of it," Guinee said. Cheeseborough stays extremely busy. He is an accomplished artist and is currently taking a cartoon drawing class at the LeMoyne Art Gallery. He is working on a graphic novel that he hopes to publish in the future with super hero included. In addition, he competes in Special Olympics in four sports winning first place ribbons or gold medals in each. Cheeseborough swims in freestyle and backstroke competitions. Also, he competes in bowling, biking, and weightlifting. He regularly qualifies to compete in the Special Olympics Summer State Games held in Orlando.